"It is easier to be hard, and harder to be soft." White Crane is a Soft-Hard martial arts style, meaning it places equal emphasis on internal and external training. Using muscular power is relatively easier than training the body to be soft for smooth Qi circulation and sharp manifestation of Soft Jing (martial power). 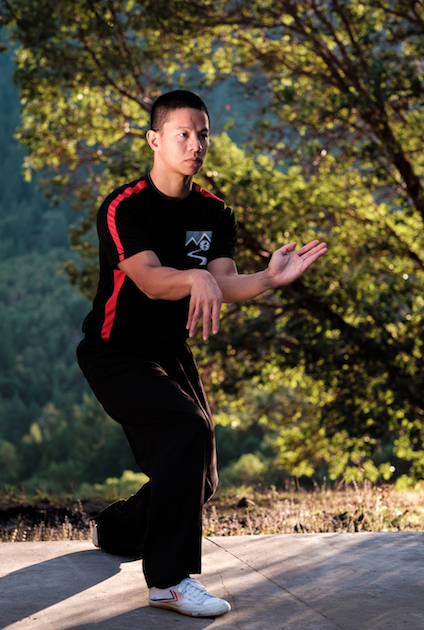 Shan He (Fan Crane, 扇鶴) is a beginner level sequence which, with additional Soft White Crane Qigong practice, builds a foundation for the Soft side of White Crane. The sequence can be trained for both martial and health purposes. This 6 hour workshop will provide the tools for breathing techniques, Jing training, footwork, and Jing patterns. The sequence will be taught throughout the day. The workshop is suitable for all ages and experience levels.